David Elliott is a British curator, writer and professor of modern and contemporary art who has directed museums in Oxford, Stockholm, Tokyo, and Istanbul. 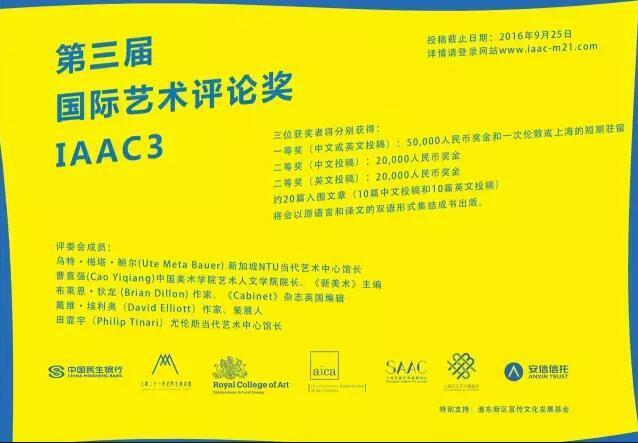 He is currently Chairman of the Board of Triangle Art Network/Gasworks in London, Chairman of the Advisory Board of MOMENTUM in Berlin and a Visiting Professor in Curatorship at the Chinese University in Hong Kong. art, he has published widely in these fields as well as on many other aspects of contemporary art. In 2008-10 he was Artistic Director of the 17th Biennale of Sydney and in 2011-12 directed the inaugural International Biennale of Contemporary Art in Kyiv. From 2012 to 2014 he was Artistic Director of A Time for Dreams, the IV International Moscow Biennale of Young Art, co-curator of PANDAMONIUM: New Media Art from Shanghai and curator of Fragments of Empire (both for MOMENTUM, Berlin) and curator of Art From Elsewhere. Art from British Regional Galleries, a Hayward Gallery Exhibition that is touring the UK. During 2015 his exhibitions included Scheisse: a solo show by Zhou Xiaohu and BALAGAN Contemporary Art from the Former Soviet Union and Other Mythical Places and Shen Shaomin THERE IS NO PROBLEM opened in Guangzhou, China. During 2016 his exhibition Social Fabric: new work by Kwan Sheung Chi and Marianna Hahn was at Mill6 Foundation in Hong Kong in March-April and in during September-October in Belgrade he is curating The Pleasures of Love, the 56rd International October Salon. Elliott’s new book Art and Trousers: Tradition and Modernity in Contemporary Asian Art will also be published by AAP.